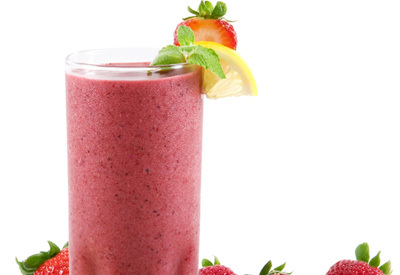 In a blender container, combine raspberries, strawberries, grapes, yogurt and V8 Berry Splash. Cover and process until well blended. Garnish each glass with a halved strawberry, lemon slice and a mint sprig. Serve at once.